The iconic Talisker single malt, one of Scotland's most revered island whiskies, has long converted drinkers to the pleasures of the maritime dram. 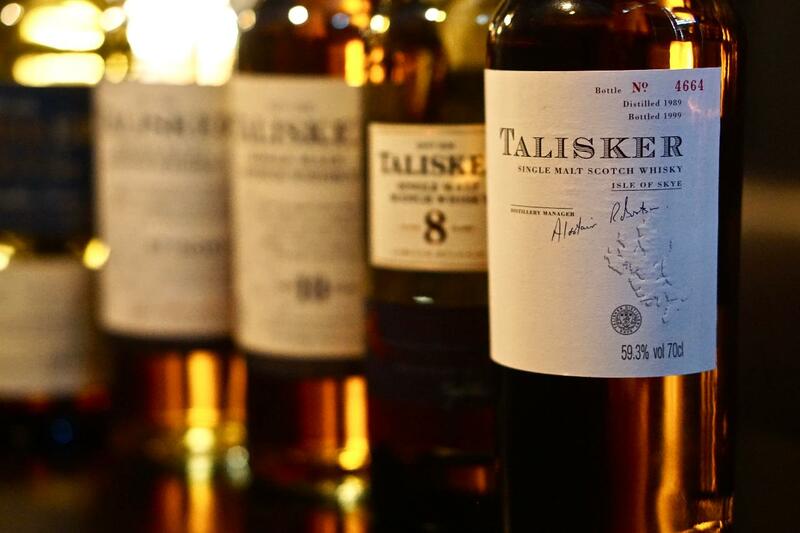 So with this tasting, we'll be serving up a brilliant vertical of Talisker single malts, with some classy core range expressions and a couple of rare gems we've pulled from the cellar, including the highly-sought after Talisker 1989 vintage. Nick Edwards from Diageo will be on hand to talk us through these distinctively smoky whiskies, and to emphasise Talisker's seaside flavours, we'll also be serving up oysters with a splash of single malt!